Tape off the top of the flats and remember to press down firmly. We don’t want the paint to seep through. Continue taping along the rim to make sure the paint doesn’t touch the non-fabric part of the flats. Grab your paint brush and start painting! I did one coat of black fabric paint. Depending on how deep you want the color to be, one coat should work just fine. Carefully remove the tape and paint small triangles for the ears. 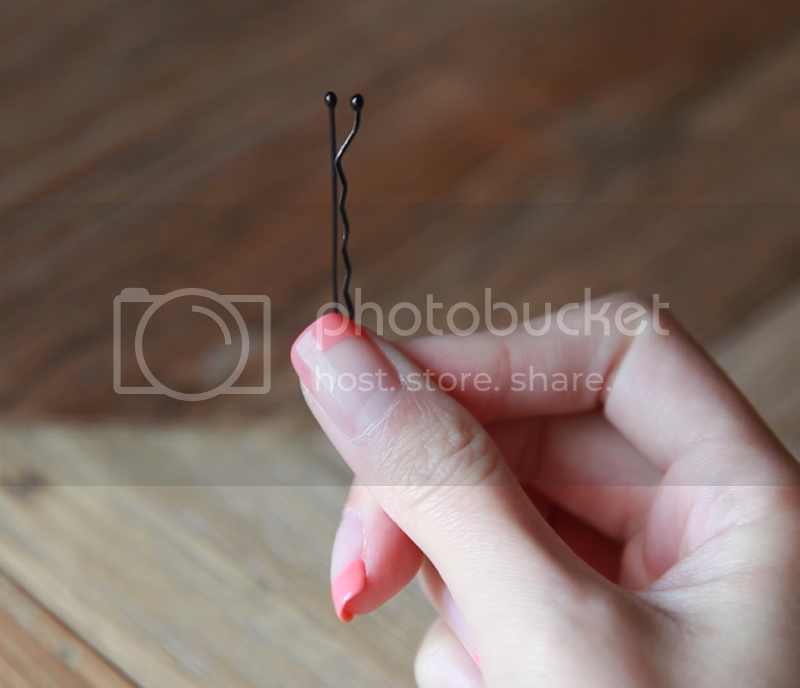 Grab your trusty bobby pin! With a small angled paint brush, lightly make short strokes for the whiskers. Don’t worry if you mess up, you can always paint over and try again. You can also use white paint marker for finer strokes. And ta-da! 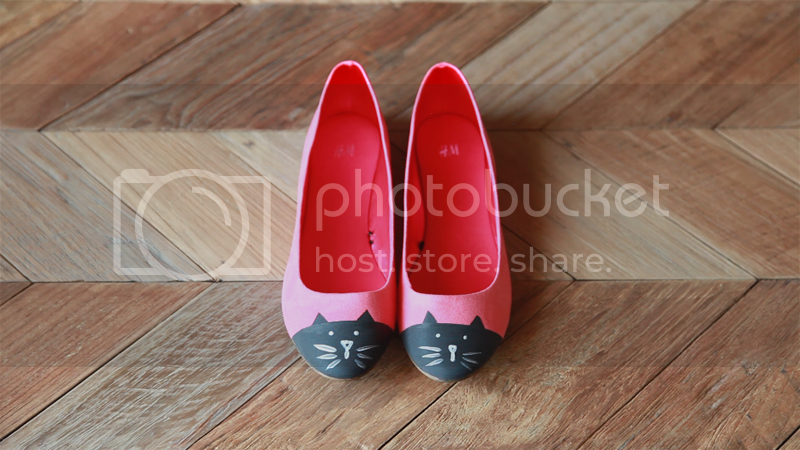 A pair of purrfect cat-toe flats for a playful and casual day out. Thank you so much for reading, and to Julie for letting me guest post for you all today! Let me know what you guys think in the comments below, or feel free to pop by my blog/channel for more DIYs. I LOVE THESE so much – and honestly, these look like the BEST flats ever. What brand are they? I’ve seen a few of these cat face pumps and what a great idea making your own. Thank you so much for sharing. genius! i will be doing this soon. Oh my gosh! I am definitely not a huge flats fan (at least on me because I have size 10 feet and I feel they make my feet look even longer) BUT these are SO SO CUTE!! I just might have to slap myself and get on this. Adorable? Do the flats need to be canvas for the paint to work? What brand of shoes are they? Ahhh these are so cute! Also saw them on Pinterest. can anyone please tell me the brand of flats used ? or at least what flats would work well . Very nice!! Did you seal them after? How long did the paint last? I’m thinking that spraying them with waterproof shoe spray might…seal the deal. I’m thinking of doing these for Christmas. Customized colours for friends who have cats! Green eyes, white whiscars, pink nose on a grey shoe for “Seba”. Right!